Velma Jean Gleaton Ellis 85 of Gulfport passed away August 25, 2018 at her home. A native of Gulfport, FL. She was currently employed at St. Anthony’s Hospital, a former cafeteria manager with the Pinellas County School System and worked many years at Bayfront Medical Center. 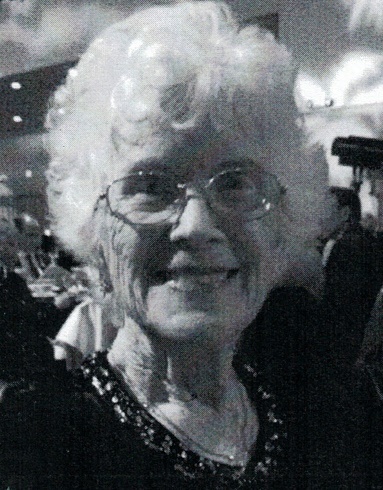 She was an active member of Pasadena Community Church, a member of UMW and a retired Sunday School teacher. Velma was a member for 36 years with the Ladies Oriental Shrine, North America, Tahuti Court # 44, a member of The Order of the Eastern Star –Bethlehem Chapter # 169 and Daughters of the Nile – Elim Temple, # 76. She attended St Pete High School and Alumni activities. She is preceded in death by her parents, brothers and husband, William V. Ellis. Survived by her daughter, Pat Phetteplace (Henry); son, Robert Ellis; daughters, Jessie Ellis-Jamison (Walter “Jay”, III), Debra Ellis-Abney (Rick); Tina Wood; Connie Thibodeaux (Sherman “Jake”); 12 grandchildren and 7 great grandchildren and loving dogs. The family will receive friends from 2-4pm and 6-8pm, Thursday, August 30th at David C. Gross Funeral Homes, 6366 Central Avenue, St. Petersburg. Funeral services held 12 noon, Friday August 31st at Pasadena Community Church, followed by burial at Royal Palm – South. Flowers accepted or donations may be made in her memory to: Ladies Oriental Shrine, North America, Tahuti Court # 44.